This is likely the easiest and most affordable craft I have ever done to make some seriously swoonworthy farmhouse Valentine's decor! Disclosure: This is not a sponsored post, and I have received no compensation for sharing any of these supplies. Some links to supplies that follow may be affiliate links, and I might earn a commission, at no cost to you, if you make a purchase through that link. This usually amounts to cents, not dollars, and helps to support the projects featured on this blog. I only recommend products from companies that I have found to be trustworthy. Read my full disclosure here. 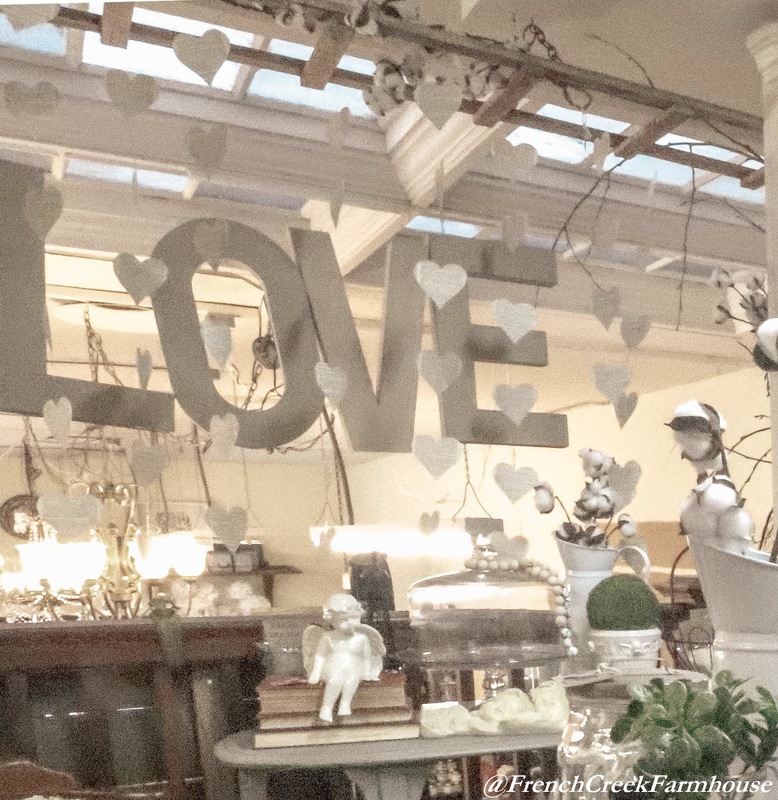 I love the look of anything vintage, and I knew I wanted to make a garland for the Valentine's decor in our shop this season, so I got a little crafty to create something that was a custom fit for what I needed. For starters, most garlands run horizontally, but I wanted mine to hang vertically. I also wanted to maintain my neutral color palette, so the reds and pinks that are typical of Valentine's decor weren't a fit for my style. That's when I remembered the stack of old dictionaries I'd collected over the years. I love their yellowed pages, and I snag them from garage sales and thrift shops whenever I can for next to nothing. 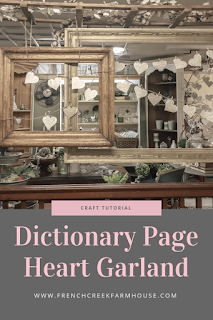 Their pages are great for all kinds of paper crafts at a true bargain, and you could really use any old book with yellowed pages to achieve a similar look. These are very inexpensive to pickup at your local thrift store. From there, it was an easy task to trace hearts onto the pages in pencil and cut them out. For the display I was creating, I needed to cut out dozens of hearts to make several garlands, so I started up a movie on Netflix and got to work. Depending on the size of your space, it might be a much faster chore! You can download my heart templates here. I used the 3.5" template for this project. When you're tracing the hearts, I recommend using a mechanical pencil that has a consistently fine point that doesn't need sharpening. Press lightly--just enough so that you can see the line, but not so heavy that it creates a dark edge when you cut out the shapes. I ended up creating two versions of this garland, and I'll describe them both. After you've cut out all of the hearts you need for your garland, cut a piece of monofilament line that is longer than the total length you desire for the garland. I used 6-pound monofilament, which is far more hearty than needed for the next-to-nothing weight of paper hearts but also fine enough to be nearly invisible. If you are creating a vertical garland, like I did, place one end of the line in the center of one heart, then secure it with a small piece of matte tape. Be sure not to use glossy tape as it will be very obvious against the matte finish of the dictionary page hearts. Using matte tape will make it practically invisible. Next, secure the remaining hearts with tape at a spacing that you desire up the line, making sure to leave enough extra line at the opposite end so that you can attach it to whatever you plan to hang it from. I put 6 hearts on each length of line, and they hung down approximately 36". I used about 15 of these garlands, and hung them from a trellis attached to the ceiling to create a five foot wall of love! You can find similar kraft papier-mâché letters like I used, here. I have a teeny obsession with old picture frames (side note: this is an understatement!). I collect them and store them for future projects, so it was easy for me to find a couple that would work for this project. I hung these from the ceiling using jute cord that we carry in our shop (similar in size to this one). Then, I loosely tied a length of cord diagonally across the frames. Because the paper hearts on your garland weigh almost nothing, the cord doesn't have to be tied very tightly. Finally, I used mini-clothespins to clip the hearts to the cord in the same way you'd hang laundry. 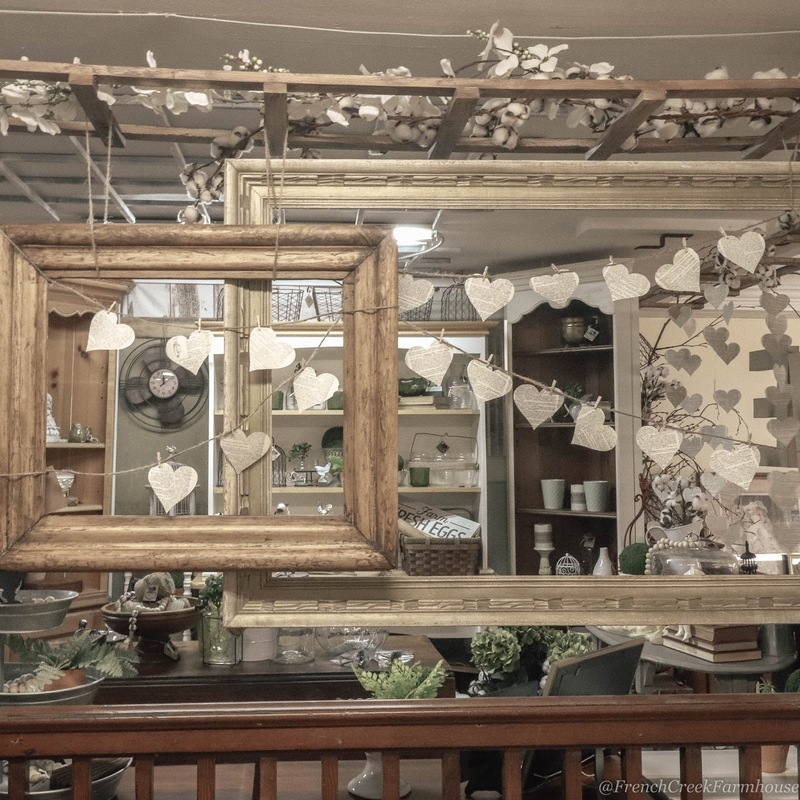 You could vary the size of your hearts, or add more lengths of cord to fill the frame more completely with your garland too. There are endless creative options! This is such an inexpensive Valentine's craft, and an easy one to do with children too. I've made it even easier for you by creating a heart template you can use in various sizes. Get it here! If you try this craft, I'd love to see it! 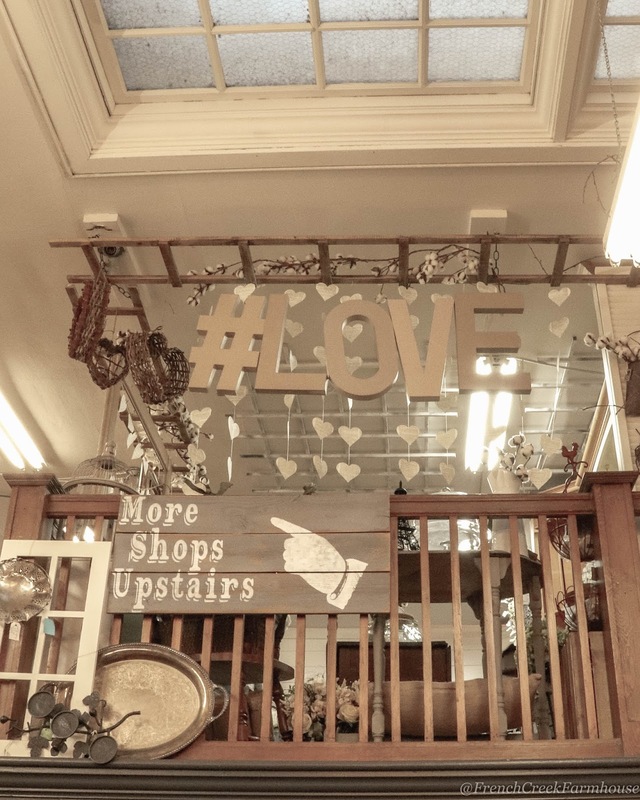 Be sure to tag me in your photos so I can see the ways that you decorated with your Valentine's garlands!